Solicitor General Jose Calida on Tuesday, October 9, said that he would not be filing libel cases against opposition Senator Antonio Trillanes in spite of the absence of any apology from the legislator who has blamed him of stowing away and stealing his missing amnesty documents. Instead, Calida said he would just forgive Trillanes. "He said he won't apologize. 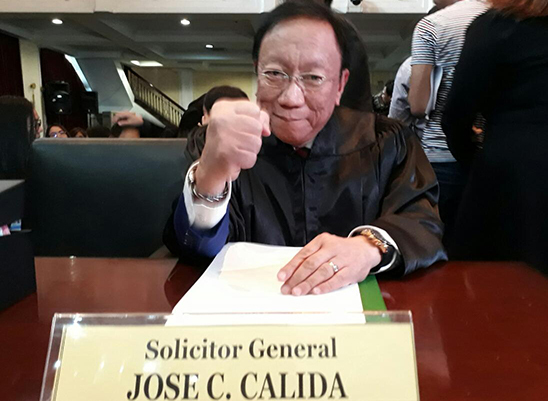 Maybe I'll just forgive him," Calida told reporters at the Supreme Court. SolGen Calida had earlier threatened Trillanes for a libel suit if the senator will not apologize for allegedly calling him a thief. 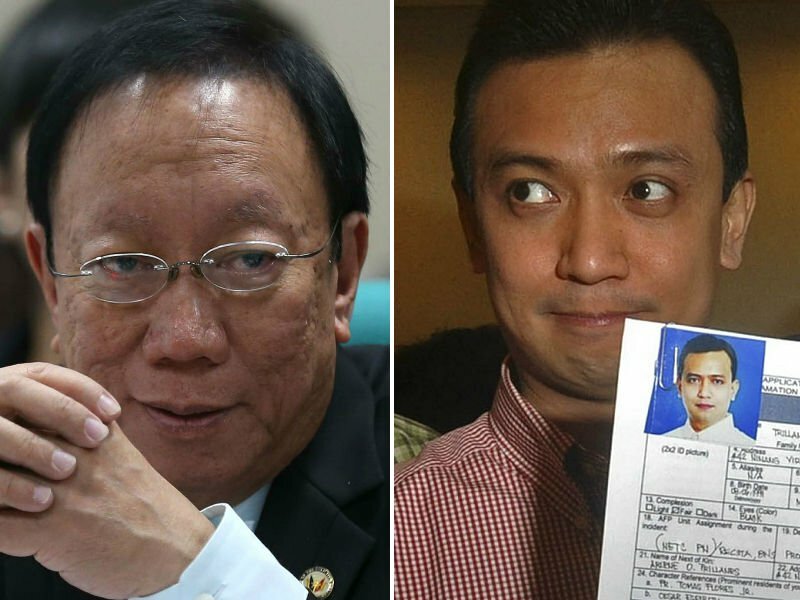 In response, Sen. Trillanes said Calida wasn't "in no position to demand or request anything." The chief government counsel is in the high court for oral arguments on the petition against the country's withdrawal from the International Criminal Court. “We have to forgive those who have sinned against us… I am a Christian. I know how to forgive,” he added. Calida was connected to the controversy encompassing the renouncement of Trillanes amnesty after Pres. Rodrigo Duterte earlier said it was Calida who sought a check on Trillanes amnesty records.